New cards. Upgraded technology. Added security. City Bank debit cards will feature EMV chips adding a new level of security and confidence when making transactions. Understanding EMV technology, new debit card enhancements, and transaction procedures. 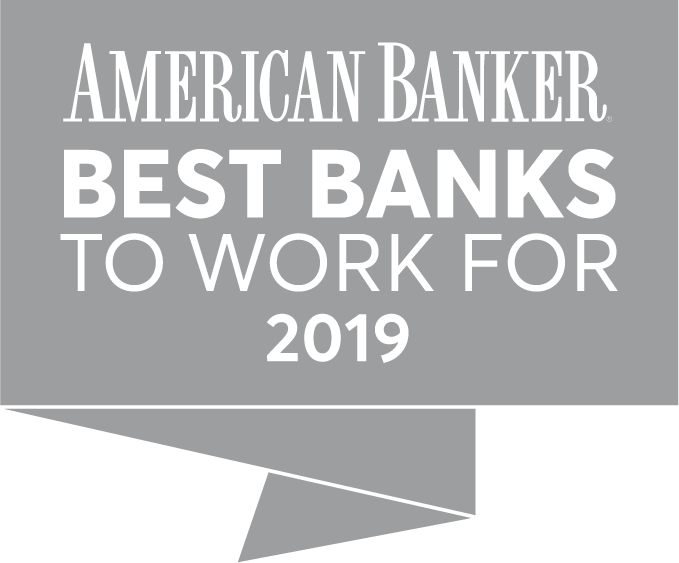 New City Bank cards featuring EMV technology will provide all of the benefits you've loved before, but provide a new level of security to complete transactions. EMV (Europay, MasterCard, and Visa) represents a new, global standard for debit and credit cards. This new, more widely accepted technology lends a new level of confidence for card holders by providing increased security and the ability to use your card abroad in countries that have already adopted this standard. EMV technology and the new chip on your debit card provide a new level of security when used in EMV-ready ATM's and chip-reading terminals when making purchases. The added security comes from transactions when the reader utilizes the chip to generate a one-time code to authenticate the transaction to further prevent any potential fraud. 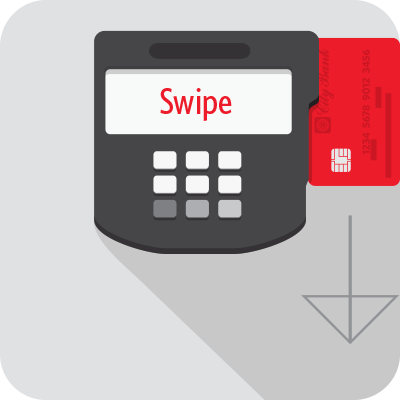 As merchants continue to upgrade card-reading terminals, you can swipe with confidence knowing your transaction and sensitive information have been processed with a new level of security. When using your new card for a transaction, swipe the card in the reader and follow the prompts for chip-enabled readers. If it's a chip-enabled terminal, insert and leave your card with the chip facing up until the transaction is complete. Last, sign as you normally would or enter your unique PIN and remove your card. 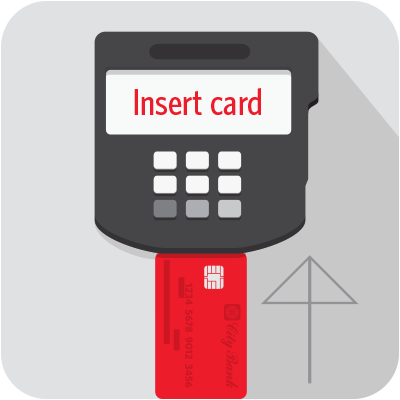 If a merchant does not have a chip-reading terminal, your card still features a magnetic stripe ensuring that your card will work with older equipment. Online and purchases made over the phone will work the same as they have in the past. 1. Use your new card in the machine as you would today. 2. If prompted, re-insert your card and leave it in the machine to complete the transaction. 3. Upon completing the transaction, remove your card and remember to take the cash and receipt. Remember to check your card for the potentially new numbers and remember to update and recurring payments you may have with your debit card to avoid any cancellations or hassles.